Haute Couture shows are always my favourite. The soft flowing fabrics and lace make for a perfect team. The Viktor & Rolf was simply stunning; the outfits were works of art. Plus, I loved the dresses and Dr Martens combination they had going on. 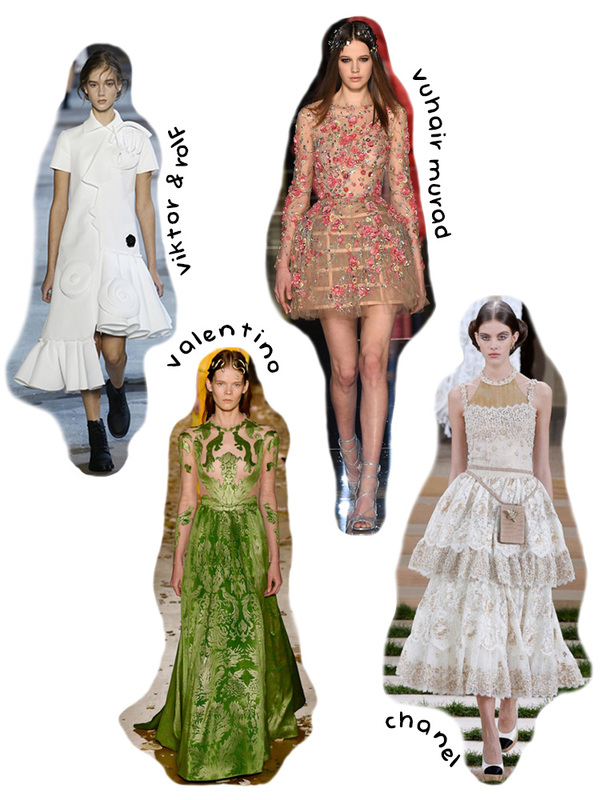 The Valentino show was one of my favourites, as always, and I fell in love with that green dress! And the pastel pinks at Chanel are always a haute couture favourite of mine.